The year couldn’t have got off to a better start for Benetti who announced the sale of the first unit of the Diamond 145 model, the 44-meter displacement yacht presented last September during the Cannes Yachting Festival 2018. 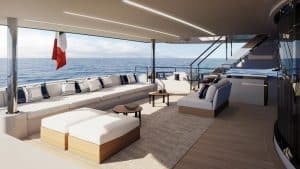 Benetti’s CEO Franco Fusignani expressed his great satisfaction at the signing of the contract: ‘Diamond 145 was presented only four months ago but right from the design stage we realised it was a model with incredible potential, representing the perfect synthesis of the core features of the Benetti Displacement Class across its entire history. BP001 is currently being fitted out at the Viareggio shipyard and will be delivered to her owner on the first half of 2020’. Diamond 145 is a yacht with a discreet sense of luxury that amazes even the most demanding owners when it comes to style, comfort and safety. She is an elegant yacht, with proportions and details that suggest important interior and exterior volumes, as well as conveying a sense of strength and power. The sleek, clean exterior lines designed by Giorgio M. Cassetta embrace the proportions of a big yacht, with superstructure masses that are refined and dynamic, high hull sides high and an extremely long reverse sheer line. The interiors, customised to reflect the owner’s tastes, features curved lines uniting big, welcoming settings flooded with natural light. 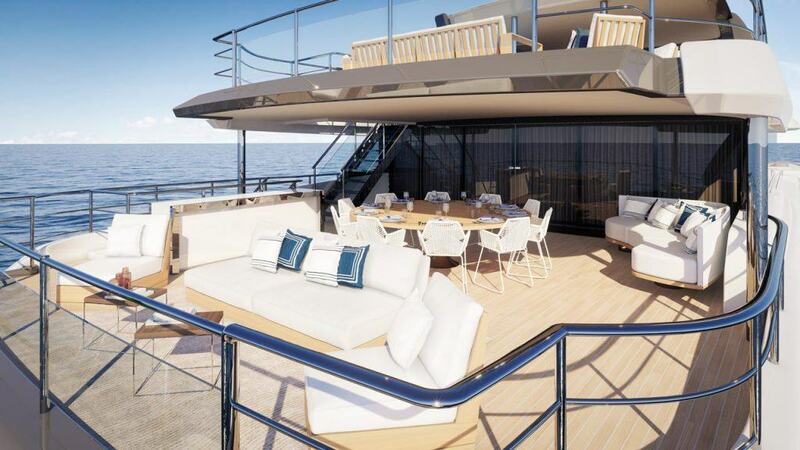 In here, light colourways bring a cosmopolitan sophistication and elegance to a timeless yacht. As well as the spacious interior volumes, another feature of this yacht, are the extensive glazed surfaces not only in the saloons, but also in the guest accommodation and the owner’s cabin.